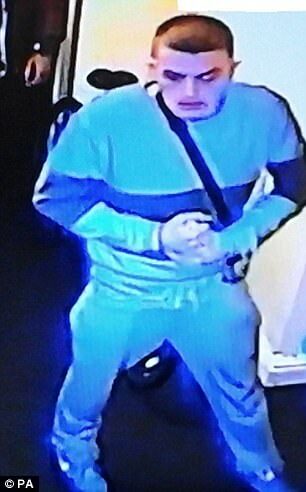 Police probing the death of an 87-year-old man who was killed after robbers smashed into his home and beat him up have launched a CCTV appeal. Arthur Gumbley, 87, died three weeks after thugs brutally attacked him when they stormed his £700,000 gated property last month. The victim, known as Bob, was found in a pool of blood after he was repeatedly kicked and punched at his house in leafy Sutton Coldfield, West Midlands. The raiders fled with jewellery, cash and a purse belonging to Mr Gumbley's late wife during the robbery which happened between 6pm and 9pm on November 21. Staffordshire Police released shocking pictures of Mr Gumbley's injuries as he lay in his hospital bed in a bid to catch his attackers while he was still alive. Officers arrested two men and two women following his death on suspicion of murder and they have since been released on conditional bail. 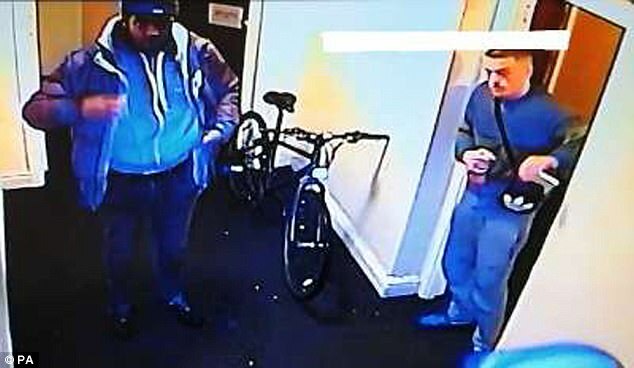 Now the force has released images of two men they are trying to identify as they believe they could lead detectives to those responsible for the murder. It is thought the men may hold information about the whereabouts of the possessions stolen from the retired company director's home. Detective Inspector Dan Ison said: 'We have had a great response from the public and the information has helped us move nearer to closing this case. 'However the information we have received so far has been from an anonymous source, preventing us from taking a statement and building a solid case. 'If you are the person providing information anonymously, please come forward to the police to help us bring those responsible for this despicable crime to justice. National charity Crimestoppers is offering up to £10,000 in cash for information leading to the arrest and conviction of those responsible. Anyone with information is asked to call 101 quoting incident number 828 of November 21.